While the Zika virus has been busy grabbing headlines as a public health menace that seemingly came out of nowhere, it is in fact just the latest iteration of viruses — from a family called flaviviruses — to rear its head as a public health menace. Flaviviruses stealthily adapt quickly to changing environments to infect the human population. That’s exactly what Myles and colleague Zach Adelman, also an associate professor of entomology and College of Agriculture and Life Sciences and Fralin Life Science Institute affiliate, are doing in their labs. The flavivirus family also includes other important pathogens, such as yellow fever virus and four different dengue viruses. Myles and Adelman will now begin work on Zika virus. Zika virus has infected a growing number of Americans over the past few months, and the disease may cause a birth defect called microcephaly, in which infected pregnant women give birth to brain-damaged babies with abnormally tiny heads. While Zika had only previously been associated with mild symptoms in humans, it may produce more severe symptoms in areas where the virus has been recently introduced because populations have no pre-existing immunity. Myles pointed out that the development of a vaccine is paramount to resolving the current public health crisis. However, other tools, such as new strategies for vector control, for example gene drives, should also be explored to prevent future viral outbreaks. One application of gene drive might involve genetically engineering a mosquito to either increase or decrease its immunity to a virus; the mosquito would either never become infected or would die quickly before it could transmit the virus to another host. Of course there are also more conventional approaches to vector control, which would involve regional, state, or national organization participation in coordinated spraying. Read about more actions you can take to protect yourself from Zika virus here. 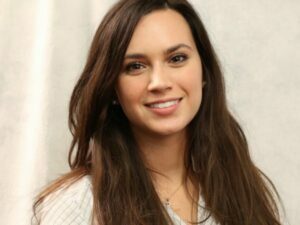 Laura Farrell, a Virginia Tech student and research specialist with the university’s transportation institute, has been awarded a scholarship as a Lifesavers’ 2016 Traffic Safety Scholar for her paper about automated vehicles. Farrell’s paper, “Engagement vs. Distraction: Re-thinking Secondary Task Risk in Automated Vehicle Operation,” focuses on the integration of automated vehicles into the transportation system. “I want to help ensure that the introduction of AVs [automated vehicles] is a success and the technology that has been created will be properly utilized and ultimately accepted by society, with the overall goal of reducing crashes and fatalities on the road,” said Farrell. According to Farrell, most previous driving research focused on decreasing mental workload – that is, the level of mental effort required for a vehicle operator to sufficiently complete a task. However, while decreasing the level of a driver’s mental workload can reduce their distraction, reducing workload too much can also decrease the driver’s performance and ability to operate the vehicle. Because of this, drivers of automated vehicles still need to be engaged so they can regain control of the vehicle during an unexpected event on the road or in the event of a system failure. Farrell works in the Center for Truck and Bus Safety at the Virginia Tech Transportation Institute, where she assists in writing proposals, recruiting participants, and performing data collection, organization, reduction, management, and analysis. The $1,000 scholarship is to be used to attend the Lifesavers Conference on Highway Safety Priorities, April 3-5 in Long Beach, Calif.
All eligible scholarship applications were reviewed by a committee of traffic safety experts, and the essays were judged based on their prevention of motor vehicle-related deaths and injuries. Blacksburg, Va., March 7, 2016 –Truck drivers who have obstructive sleep apnea and who do not attempt to adhere to a mandated treatment program have a fivefold increase in the risk of a severe crash, according to a new study co-authored by Virginia Tech Transportation Institute researchers and featured in the March 21 online edition of the journal Sleep. Drivers who did not follow the sleep apnea treatment administered by the study fleet were discharged or quit, having been retained only one-third as long as drivers who did adhere to the treatment program. The study observed that 60 percent of drivers who chose not to accept the mandated sleep apnea treatment quit voluntarily before they were discharged. While the treatment program analyzed in the current research article saw the removal of drivers who were non-compliant with the program, current federal regulations allow those drivers to keep their diagnosis of sleep apnea private, enabling them to work at another trucking firm. The researchers note that current federal regulations are the result of a previous lack of data available about the effectiveness of a mandated sleep apnea treatment program. However, the current study represents the first large-scale database available to determine how screening, diagnosing, and monitoring obstructive sleep apnea among truck drivers can affect their crash risk. “Previous research has shown that obstructive sleep apnea is among the most common causes of excessive drowsiness or fatigue in the daytime, so this new analysis really underscores the risk truck drivers diagnosed with obstructive sleep apnea assume if they choose not to adhere to a treatment program,” said Erin Mabry, co-author of the research article and a senior research associate with the transportation institute’s Center for Truck and Bus Safety. More than 1,600 drivers diagnosed with obstructive sleep apnea were compared in the study to an equal number of drivers who were deemed unlikely to have obstructive sleep apnea. Drivers who fell in the former category were provided auto-adjusting positive airway pressure treatment, which was objectively monitored. The treatment program was implemented by Schneider. Preventable, U.S. Department of Transportation-reportable crashes per 100,000 miles were compared across the study groups. “What we found is that, if we look at 1,000 truck drivers each working for a year, the drivers with obstructive sleep apnea who refuse treatment would have 70 preventable serious truck crashes, compared to 14 crashes experienced by both a control group and by drivers with sleep apnea who adhered to treatment,” said Stephen Burks, lead author of the research article and professor of economics and management at the University of Minnesota, Morris. Data collection and statistical analysis for the article were performed by the Truckers and Turnover Project research team at the University of Minnesota, Morris, which also included biostatistician Jon Anderson and several research students. The project’s work was funded by Schneider; the University of Minnesota, Morris; and the Roadway Safety Institute. Treatment was covered without out-of-pocket costs to drivers under Schneider’s employee health insurance. Virginia Tech researchers Hickman and Mabry collaborated on interpreting the results and writing the Sleep article, along with representatives from the Harvard Medical School and Precision Pulmonary Diagnostics. 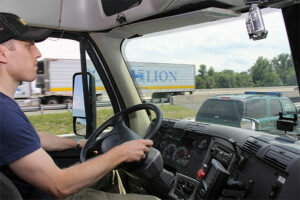 The Virginia Tech Transportation Institute conducts research to save lives, time, money, and protect the environment. One of the seven university-level research institutes created by Virginia Tech to answer national challenges, the Virginia Tech Transportation Institute continually advances transportation through innovation and has impacted public policy on the national and international level.